Burnside Press. 2013. 88 pages. 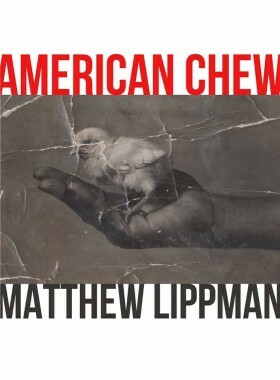 When one picks up Matthew Lippman’s new collection, American Chew, the inevitable question surfaces: what is ‘American’ about American Chew? Divided into two parts, this collection takes on, without hesitation, issues of race, gender, sexuality and politics; issues that are woven adeptly through poems about manhood and America. And somehow, in the midst of discussing “Cindy Crawford / on the television” (“Meaningful Beauty”), this collection manages to grow into a meditation on desire as it applies not only to the speaker of American Chew but also to us, whoever we are: the imagined reader of American poetry. the way he recycles his pizza boxes, ties up his Glad Bags. It is a manhood that is constantly in need of qualification, of reassessment. A manhood that shifts, whose definition no longer holds. Obsessively, the speaker in American Chew declares “that’s the kind of man I want to be” (“Karl’s Trash”): a man who works in a slaughterhouse, a man who stands in “the driveway, barefoot and fat” (“Karl’s Trash), “a man who pushed the steer in as a steer / then hauled it out” (“American Chew”). But also, paradoxically, the speaker wants “to be a girl who releases an egg / then goes on a hunt for the Ghirardelli, / face painted like a Samoan goddess warrior” (“You Don’t Know What It’s Like When a Girl Releases an Egg”). A manhood in transformation: “It’s the becoming that I want” (“You Don’t Know What It’s Like When a Girl Releases an Egg”). sloppy with the happy fat. or, “Hell yea, I’m gonna watch YouTube videos all day” (“YouTubing It”). There’s joy in reading these lines, in their particular cadence. Lippman feels on the verge of pinpointing this thing for us, this country in which we live. “It occurs to me that my whole country / has been killed by my Whole Foods” (“American Chew”). Beyond the jokes about being fat, American Chew holds a deep well of truth that catches one by surprise. Moving through the pages, Lippman so often astonishes with his insight on being a man, a woman, an American. If there were a thesis to the collection it might be about understanding desire, that complicated need that is forever changing. Maybe what it means to be American in this collection is to accept that desire, even to relish it. To enjoy all of it.